Carl Borden’s Breathe begins I Lift My Hands. This track blends together bold synth line that set the stage for the approaches and environment to follow. The four and a half minutes of this introductory song will keep listeners on the edges of their seats; Borden’s ability to create such a coherent introductory statement is unparalleled. Morning Journey – Part One includes the sound of rain with a rising arrangement that portends the raw potential of the titular time of the day. Calming Grace builds off of the sounds of these earlier-album songs. The gentle sounds of the waves add complexity to the strong, extended synth lines Borden places within. The cohesion of Breathe is best shown with Closure. This composition is important as it dovetails together quicker and slower moments. Morning Journey – Part Two should be enjoyed in a number of ways. I would recommend that listeners play the entirety of Breathe to understand how the song works within the overall tapestry weaved by the album. After this introductory play-through, choose both sections of Morning Journey to see how they are similar (and the few ways in which they differ). The synths feel more hopeful; if the first Morning Journey expressed what all the morning may bring, the second statement is a supremely confident one, pushing listeners towards achieving everything that can be done on a productive morning. 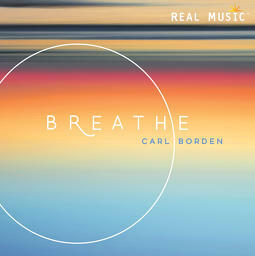 Rainy Afternoon is the final track on Carl Borden’s Breathe, and it accomplishes two things. First off, Carl is able to wind up any loose ends and put the finishing touches on the album. Secondly, there emotive synths and natural environments portend the ways in which Borden may add to his discography after Breathe is released. Make sure to purchase the album directly from Real Music; let us know what you think.